Slim and meticulously sharpened, professional cuticle scissors Inox Style n4 by Niegeloh is a delight for those who like to detail their cuticles with the best cuticle cutters. They are crafted in Germany from hardened stainless steel which retains the cutting edge for a very long time without service. Improved design is ideal for people with larger hands and allows optimal manoevring to achieve neat, beautiful cuticles, without tearing the skin. Distinctive feature of Niegeloh German cuticle scissors Inox Style n4 is the slim blades which allow to cut cuticles easily and precisely. Each pair of Inox Style n4 cuticle scissors has been manually tested to meet strict Solingen engineering standards and is guaranteed to last for a very long time, without losing original sharpness and precision. Manually adjusted Torx screw allows easy gliding of the blades and makes the scissors perfect for people with limited strength in their hands. Niegeloh's professional line of Style n4 manicure scissors is award-winning collection featuring hand-flattering design and perfectly sharpened blades for long-lasting performance. Since its launch in 2012, they became beauticians' favourites around the world, thanks to impeccable sharpness of the cutting edge and comfortable handles with wide grips. The scissors work beautifully and rostfrei Inox stainless steel makes them fully washable and sterilisable. For added benefit, the Inox steel in Style n4 scissors is nickel-free and anti-allergic – great companion for people with sensitive skin. 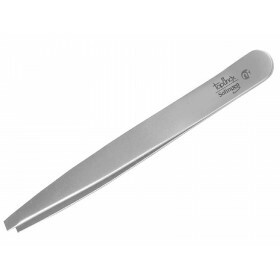 Slightly curved blades are specially designed to follow the natural shape of your cuticles and achieve a beautiful line, without tearing the skin around nails. Manufactured by Niegeloh Solingen Germany. Family tradition since 1936.